OnePlus 6T Available For Free On Cyber Monday Via Credits & Trade-In! Cyber Monday 2018 is in full swing and the deals are flowing in. As expected, nearly every electronic item is going on sale this week, and the OnePlus 6T is one of these. After making a great offer for the iPhone XR, T-Mobile is back with the OnePlus 6T. Take a look below for more details. OnePlus launched the OnePlus 6T last month, and the gadget turned out as a big move forward for the company. 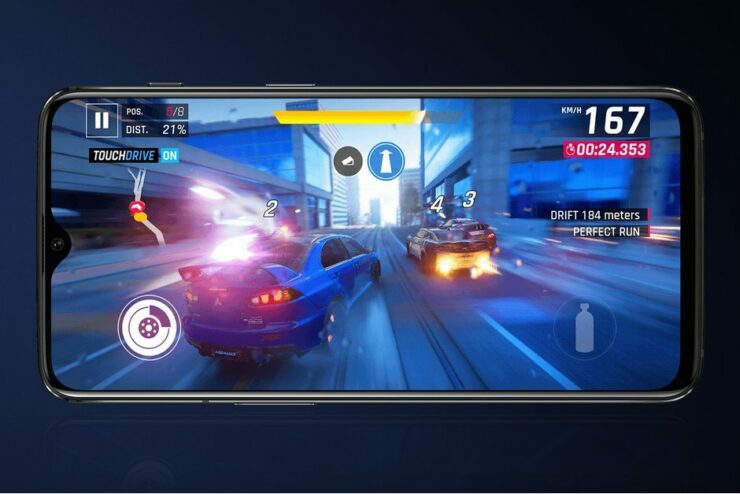 The 6T is OnePlus’ first smartphone to undergo a carrier launch in the US, and therefore the device serves to lay the ground for a growth in operations for the company. 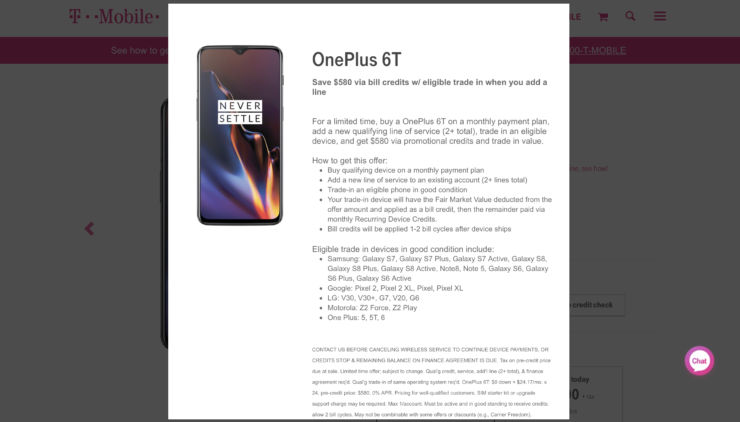 Now, T-Mobile is out with a great offer on the OnePlus 6T. If you’re looking for a new smartphone, or are simply interested in purchasing the OnePlus 6T, then T-Mobile’s Cyber Monday 2018 deal for the gadget ought to interest you. The carrier is offering the smartphone essentially for free. This means that while you’ll make an initial payment for the OnePlus 6T, this payment will instead earn you bill credits from the company. Select a 128GB Storage, 8GB RAM OnePlus 6T from the carrier. Add the OnePlus 6T as an additional line to an existing T-Mobile account. T-Mobile will then deduct the fair market value of your device and apply it as a bill credit. The remainder will be paid through recurring monthly device credits. All in all, the amount that you will initially pay the carrier will be applied towards the services that it will offer you in the future. For a high-end flagship smartphone that’s barely a month old, it really can’t get better than this. The list of eligible devices for this offer is quite extensive and it includes the OnePlus 5, OnePlus 5T and the OnePlus 6. You can also avail it by trading in a Samsung Galaxy S6/S6+/S6 Active, S7/S7+/S7 Active, S8/S8+/S8 Active, a Note 5 or a Note 8. For the complete list, take a look in the gallery above. Thoughts? Let us know what you think in the comments section below and stay tuned. We’ll keep you updated on the latest. Take a look at the offer here.